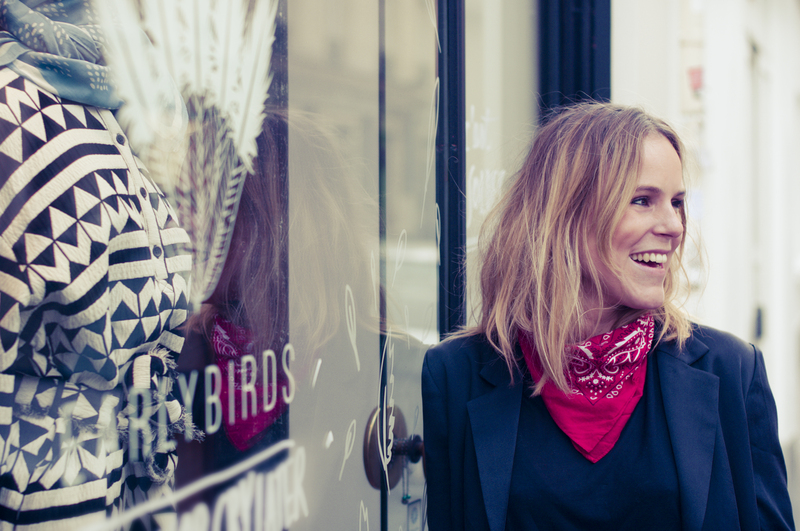 Fanny Airault launched her concept store, Gang of Earlybirds in September 2015 after receiving the PIE entrepreneur grant. When I sat down to chat with her to about all things Fanny and all things Gang of Earlybirds, she shared, “when I was in New York, this is where I started to discover new brands that weren’t available in Paris, this was when I started thinking about this project. This was about 6 or 7 years ago now. 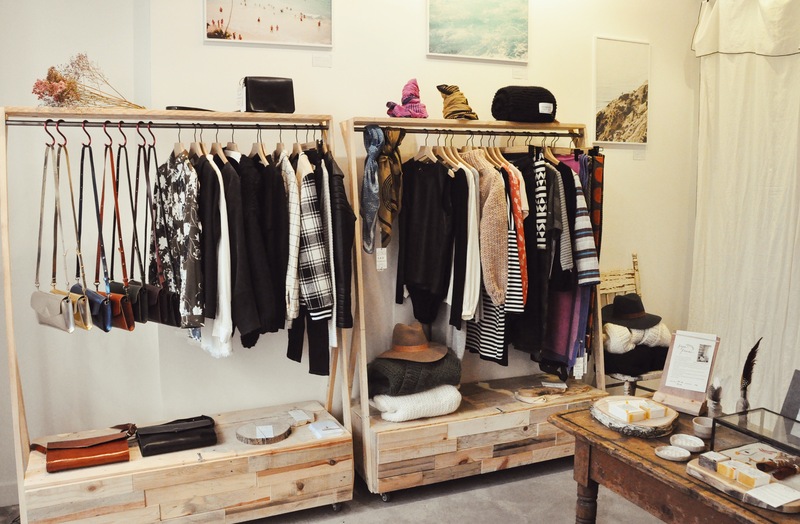 I didn’t understand why in Paris, the capital of fashion, there were always the same brands.” With that frustration in mind, her store aims to bring exclusive, well made, indie designers from all over the world to Paris. 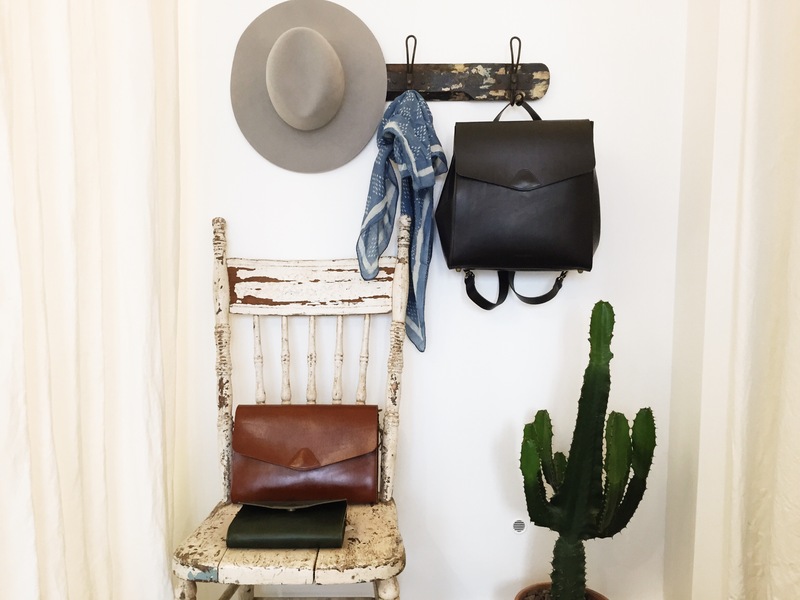 Moving from the idea to do just an online shop to a retail location, she realized the opportunity to invite people who shared her love of a boyish, bohemian aesthetic into a store where they felt welcomed and transported, perhaps somewhere in the open air of California. 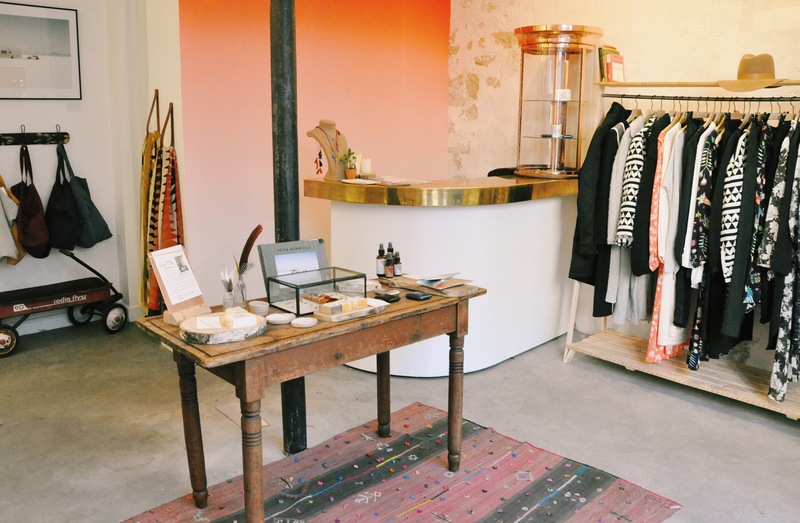 And thus, with rustic wooden floors, faded wallpaper and a well-trained eye, Fanny opened her dream shop in Le Marais, a neighborhood known for being fashionable and ahead of the trends—exactly the location for a vision like Fanny’s. As most passions do, Fanny’s love of fashion started young. She and her mother were both very much tomboys but the time Fanny spent playing dress up in her grandmother’s closet would be her first steps towards a career in fashion. Having done stints at Kenzo, Opening Ceremony and Lanvin, it’s there in high fashion that she gained a rigorous education in marketing and strategy but also in fashion fundamentals such as quality, cut, shape and fit. Those early lessons in minding where materials are from and how they are made are the foundation of her work today. While Paris is known for high fashion, a wave of new fashion fresh off the plane from the states is taking over. It’s a little bit 90s, it’s a little bit androgynous. It’s a touch of Brooklyn with a touch of California sun mixed in and that is exactly Fanny. The name for the shop serves as a mission statement as much as an indicator of what you'll find inside but it didn't just came to her in a dream like the story usually goes. Wanting something that sounded organic with a sense of community to it, she came upon it when a friend described her as an early bird because of her penchant for waking up early (or in the case of the store, being ahead of the trends) and the word “gang” was top of mind after conversations with friends and thus: Gang of Earlybirds. While it wasn’t beloved by all right away, one thing Fanny has learned is to trust your gut. It’s a skill she learned early on while working on merchandising for the store. It was her first order for the store and she’d picked pieces that spoke to her, pieces she loved that she herself would wear. Nerves made her question her intuition and so she sprinkled a few wardrobe basics into the mix thinking if nothing else sells, those would. In the end, everything flew off the shelves except the basics. You can be sure that these days, she trusts her eye a lot more. So where does Fanny find inspiration in stocking her store season after season? Surprisingly, she cites Instagram as one of her biggest influences. Of course travel, cinema and staying closely tuned into the fashion happenings in New York, Brussels, Canada, Australia and her hometown Paris are important but Instagram is just as much a platform for her business dealings as it is eye candy. Using Instagram, Fanny can scout new designers, vet potential brands for her store and stay on top of trends. And while it’s her job to watch market trends, Fanny knows that in the end, fashion is about style. Trends will always change but trusting your taste and instincts means you’ll always own things you love and everything you own will fit together. The commonality through the many seasons and trends is Fanny and her ability to combine so many different aesthetics into one cohesive vibe using her personal style and her commitment to the quality and story behind each piece. If there’s one fashion lesson we can all takeaway from this indie darling, let it be that. Interested in checking out the shop? Get 10% off your purchase through Dec. 30, 2016 by mentioning you're an AUP student! Niha is an Indian-born, American-raised writer that is equal parts New York and Paris. She hails from a background in psychology, writing, advertising and pizza. You can find her on the world wide web or somewhere on the streets of Paris, pain au chocolat in hand.